At Extra Cash Pawn we proudly offer fast, hassle-free pawn loans to our Customers. We consistently loan more than any other pawn shop. Come in today and meet one of our Team Members and give us a chance to earn your business. We purchase or pawn all trailers. No title needed to sell or pawn your trailer. Our team member will evaluate your trailer and give you the highest offer to purchase or pawn your trailer. 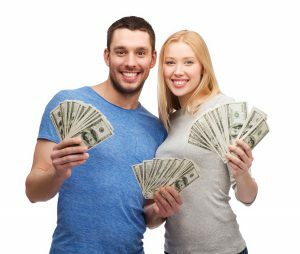 Cash in minutes in your hand! If you own a firearm, you can bring it in to your local Extra Cash Pawn for a pawn loan. We are licensed, bonded, insured and offer world-class security for your firearm. Extra Cash Pawn has been buying and loaning on jewelry since 1990. We always pay top dollar because we value the strong reputation we have built in our community and we want all of our customers to feel they are being treated fairly. Come see our experts, and let us give you our best price for your jewelry, diamonds, gold, and watches. We will loan on or buy almost anything of value! Bring in your items today and turn them in to cash!